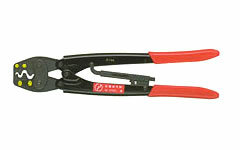 5N18 Crimping Tools: Izumi Products. The 5N18 is a hand crimping tool with a ratchet mechanism so that the jaws cannot be released until preset pressure is applied to the handles. 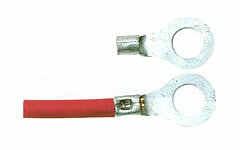 This feature assures that connectors are crimped completely according to the JIS standard. The tool has 4 grooves to accept non-insulated terminals up to 8mm2. The 5N18 is mad in accordance with all requirements specified by JIS 9711. DIN: 1.5, 2.0, 6.0, 10.